We are delighted to be able to share the final Ofsted report with you, which we feel reflects very well on our school. We can officially say that St John’s is a good school with outstanding features. Under the new Ofsted framework, in operation since January 2012, we are told that a number of schools have been downgraded which makes our achievements at St John’s all the more exceptional. Congratulations on the outcome of the Ofsted inspection for St John’s. We are all really delighted for you, the staff and the children. To be judged ‘Good’ under the new framework is a considerable achievement. Well done and do pass on our congratulations to everyone at St John’s. Have a well deserved break when it comes! As I mentioned in the last newsletter, the support of parents over the inspection period was greatly appreciated. The partnership between parents and school is a key part of our successes. If anyone has any questions about the report, please do not hesitate to contact me. Teachers plan exciting lessons that engage and motivate pupils well. Pupils make good, and sometimes outstanding, progress in most lessons. Teachers have good expectations of the more able and challenge them well. Teaching successfully promotes pupils’ spiritual, moral, social and cultural development and encourages an understanding of values such as respect, kindness and trust. Pupils are sociable and articulate and develop good confidence and self-esteem. Pupils are polite and courteous, and they support each other well. The school focuses strongly on keeping pupils safe. The governing body ensures that safeguarding arrangements meet requirements. The headteacher and other senior leaders are passionate about getting the best for their pupils and they embrace with enthusiasm new initiatives. 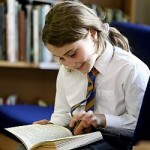 The governing body provides good challenge and support to the school and play a good part in planning for the future.